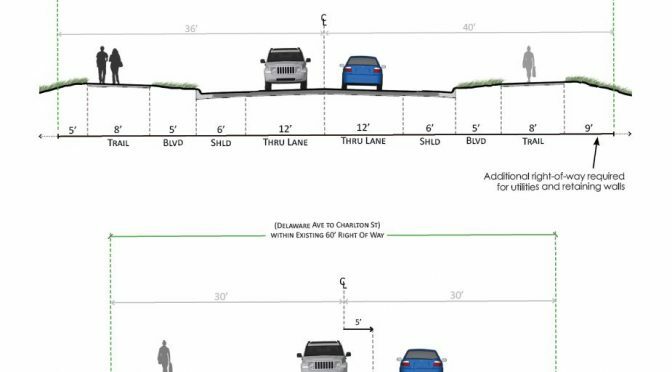 In 2019 Dakota County plans to rebuild a stretch of Wentworth Avenue in West St. Paul from Delaware to Humboldt. The project will add trails to Wentworth, including a trail on the entire north side of the corridor and the south side from Charlton to Livingston. At the last city council meeting on Nov. 26, the public hearing consisted mostly of complaints from local residents about adding sewer hookups and the associated assessment costs. The council seemed willing to drop the sewer requirement from the project, though some council members wanted to debate the necessity of adding trails on both sides of Wentworth before approving the project. Ultimately they voted to continue the matter to the next meeting on Dec. 10 (when they’ll also be readdressing the site plans for Garlough).